The key piece of legislation that regulates the communications sector in Serbia is the Electronic Communications Act (2010, as amended) (ECA) modelled after the EU regulatory framework of 2002. The competencies for regulation of electronic communications are divided between the government, the Ministry in charge of telecommunications and information society and the Regulatory Agency for Electronic Communications and Postal Services (RATEL). The government defines the electronic communications policy, adopts strategic documents and action plans for their implementation, and establishes the principles, goals and priorities for the development of electronic communications in Serbia. The Ministry supervises the implementation of the ECA and related regulations, represents the Republic of Serbia in international organisations and institutions connected with electronic communications and promotes investment, research and development in the sector. In addition, the Ministry contributes to the harmonisation of the national legislation with the EU regulations. The RATEL is an organisation functionally and financially independent, which exercises public authorities aimed at effectively implementing the electronic communications policies, promoting competition and protecting consumers’ rights. Its main competencies include the adoption of by-laws regulating certain aspects contained in the ECA (eg, provision of universal services, payable fees, radio-frequency usage, etc) and the power to decide on the rights and obligations of the operators and the users of electronic communications. No restrictions exist in Serbia regarding the foreign ownership of operators of electronic communications. However, a restriction does exist for the provision of electronic communications services from abroad. Although it is not expressly stated in the ECA, the RATEL interprets that the ECA requires electronic communications operators to have a presence in Serbia and to be registered with the Serbian Agency for Commercial Registers. This means that a foreign entity is not entitled to provide electronic communications services in Serbia from abroad, but needs to do it through an entity incorporated in Serbia. Activities in the electronic communications sector in Serbia are subject to the regime of general authorisation. Under this regime, the conditions for the performance of activities related to electronic communications networks (construction, installation, maintenance, use and rent) and services (provision of telecommunications services and distribution or broadcasting of media content services consisting entirely or mainly of the transmission of signals) are simple. Any entity may commence activities within the electronic communications sector subject to 15-day prior notice to the RATEL. The RATEL enters such notifications into the publicly available registry of electronic communications network and service operators and issues a confirmation of registration upon request. Registration itself does not have a constitutive effect - notification alone is sufficient for the right to perform the notified activity. the envisaged date of commencement of the electronic communications activities. Such a regime applies indistinctly, without the ECA distinguishing or establishing different requirements among fixed, mobile and satellite networks and services or between 2/3/4G technologies. The right to use numbers is subject to a licensing regime. Licences are granted by the RATEL upon request from the operator. The RATEL may reject granting the request if the request is contrary to the numbering plan adopted by the RATEL or if the requested numbering resources are not available. Licences for the use of numbers are issued for maximum periods of 10 years (renewable). The rights to use radio frequencies are generally granted through individual licences issued by the RATEL, either upon request or following a public bidding procedure. The decisions on granting individual licences for the use of radio frequencies upon request are to be made within 40 days from the day of the receipt of the request. The RATEL may reject a request if the request is not compatible with the relevant allocation and allotment plans, the required radio frequencies are not available, or the use of the particular radio frequencies may have harmful effects on the environment or cause harmful interferences with other radio communications systems. Bidding procedures are used where there is limited availability of radio frequencies within a specified radio-frequency band. Licences for the use of radio frequencies are issued for a maximum periods of 10 years (renewable). radio frequencies reserved for the exclusive use of the authorities of the Republic of Serbia in charge of defence and security affairs, as well as emergency services. Performance of electronic communications activities are subject to an annual fee, the amount of which the RATEL determines every year. In any case, the amount of the payable fee cannot exceed 0.5 per cent of the revenues made by the operator during the relevant year. Separate fees are payable for the use of numbering and radio-­frequency spectrum. The payable fees include a one-off fee for the granting of the licence and recurring annual fees that depend on several factors, such as the type of service provided by using the relevant number or spectrum. The three mobile operators that are currently active in Serbia (ie, mts - Telekom Srbija, Telenor and VIP mobile) have been assigned radio frequencies spectrum by means of bidding procedures. As a way of example, pursuant to two bidding procedures initiated in 2015, these mobile operators were awarded spectrum in the 1710-1785/1805-1880MHz and the 791-821/832-862MHz frequency bands, respectively. terms and conditions for the experimental use of assigned radio frequencies. The right of use of radio frequencies granted in the form of an individual licence cannot be renounced, leased or transferred to a third party. 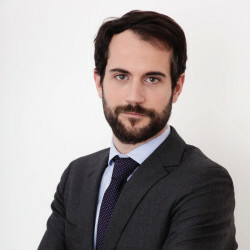 Markets susceptible to ex-ante regulation are those with structural, regulatory and other lasting barriers that prevent the market entry of new competitors, where it is impossible to develop effective competition (without such ex-ante regulation) and where provisions for protecting competition are not sufficient to remove the observed market failures. The RATEL has to carry out the identification of these markets at least once every three years, taking into account the EU recommendations pertinent to the analysis of markets and identification of significant market power (SMP). offering retail services under certain conditions. The ECA does not contain any provisions that can be used as legal basis for requiring functional separation between an operator’s network and service activities. It only foresees the obligation of persons carrying out several economic activities, to perform those related to electronic communications through a separate legal entity; and the possibility to request that operators with SMP keep separate accounting records with respect to their business activities relating to the provision of interconnection or access services. The remedy of functional separation was introduced in the EU Access Directive in 2009. Serbian authorities are currently working on an update of the ECA, which seeks to harmonise it with the EU regulatory framework of 2009. Therefore, it might be that a functional separation obligation is introduced in Serbia when the new law comes into force. special measures aimed at giving persons with disabilities and socially vulnerable users equal possibilities of access to publicly available telephone services, including calls to emergency services, directory enquiry service and access to public telephone directories. The RATEL has to designate, in an objective, transparent and non-­discriminatory manner, and seeking to ensure effective and efficient universal service provision, an operator or operators with the obligation to provide all or some of the universal services on the entire or a portion of the Republic of Serbia. Operators with universal service obligations are entitled to reimbursement of the excessive costs (ie, costs that entail an excessive burden) derived from the universal service provision. The excessive costs approved by the RATEL are paid through contributions made by all the operators, in proportion to their respective share in the market. To ensure a reasonable, equal and effective use of numbers as a scarce resource, the RATEL adopts numbering plans in which it specifies their purpose and ensures the equal availability of numbering resources for all publicly available electronic communications services and operators providing such services. the obligations concerning the use of assigned numbers resulting from relevant international agreements. The holders of the licences may transfer the right to the assigned numbers to third parties intending to use the assigned numbers for commercial purposes, by means of a written contract approved by the RATEL. operators must enable their subscribers, upon request, to keep their assigned numbers when switching to the services of other operators (receiving operators). When such a number porting service is requested, the subscriber must provide data on his or her identity, the number for which the service of number porting is requested and a statement certifying that there are no outstanding debts with the donor operator. The receiving operator is under the obligation to remunerate the costs of the donor operator for the provision of number porting services. Operators must cooperate with the RATEL and with each other to ensure that the loss of service, during the process of porting, does not exceed one working day, and must refrain from actions aimed at obstructing or preventing the number transfer. measures that operators must apply for the purpose of maintaining the security and integrity of networks and services, and the control of unlawful content transfer. other provisions of relevance to a certain service. The operators have to make publicly available the terms and conditions and the prices of the services offered. Changes to the terms and conditions must be furnished to the RATEL on the day they come into force at the latest. Operators are obliged to notify the subscribers of any unilateral changes to the contract, at least one month in advance. When the amendments essentially change the terms and conditions of the contract in a manner that is not in favour of the client, he or she might be entitled to cancel the contract without paying any expenses associated with the cancellation. The Serbian regulatory framework for electronic communications does not explicitly address net neutrality, nor does it refer to practices such as zero-rating or bandwidth ‘throttling’. This lack of specific regulation gives some leeway to operators when it comes to the management of traffic. In fact, zero-rating is a common practice in Serbia, where mobile operators usually offer access to some applications that do not count against the user’s contracted package of data. the competition regulations, which might be always used against those behaviours of the operators deemed as anticompetitive. There is neither specific legislation in place, nor enforcement initiatives, relating to digital platforms. No, currently there is no specific regulation of NGA networks. Also, there is no government financial scheme to promote basic broadband or NGA broadband penetration. breach reporting: operators are obliged to inform the RATEL of any violations that caused infringement of the personal data protection or privacy of subscribers or users. The RATEL is then authorised to inform the public about the infringement or to require the operator to do it itself, when it concludes that publication of such information is in the public interest. The ECA does contain some provisions concerning network security. Operators of electronic communications must take adequate technical and organisational measures to ensure the security and integrity of public communications networks and services, confidentiality of communications, and protection of personal, traffic and location data. This includes measures for the prevention and minimisation of the effects of security incidents on users and interconnected networks, and for ensuring the operative continuity of public communications networks and services. The ECA also demands that subscribers are informed of particular risks related to violation of security and integrity of public communications networks and services, as well as of possible means of protection and implementation costs. If a violation does occur, the operator must inform the RATEL if the breach had a significant impact on the operation of the networks and services. Moreover, the RATEL will be authorised to inform the public or to require the operator to do it themselves, when it understands that publication of such information is in the public interest. No Serbian legislation or regulation covers big data specifically. Consequently, the general rules under the data protection legislation apply to big data issues. identifying the location of the users’ mobile terminal equipment. Although the relevant regulation does not expressly require it, compliance with the obligation to access and make the data available without delay might require or, at least, make convenient, the storage of a copy of this information in Serbia. Apart from the above, no data localisation requirements exist in Serbia. There are, however, rules in the data protection legislation for the transfer of personal data outside of Serbia. Transfers of personal data can be freely made when the recipient country is a state party to the Council of Europe Convention for the Protection of Individuals with regard to Automatic Processing of Personal Data (eg, EU countries). For transfers to the territory of a state that is not a party to the above-mentioned Convention, prior authorisation from the Serbian data protection authority must be obtained. 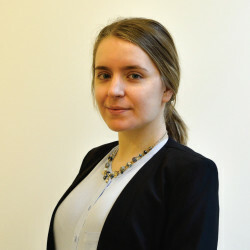 a new law on data protection, which seeks to align the data protection framework to the challenges and technological developments that have arisen during recent years, and the wording of which will look very similar to that of the EU General Data Protection Regulation. The principal laws applying to the media sector are the Public Information and Media Act (2014, as amended) and the Electronic Media Act (2014, as amended). The latter adopts most of the provisions from the EU Audio-visual Media Services Directive. The body exercising competence over print media is the Ministry of Culture. The Ministry prepares and monitors the enforcement of the laws and regulations, and oversees the work of public companies and institutions in the print media sector. The Regulatory Authority for Electronic Media (REM) is an independent agency with the authority to supervise the work of electronic media and to enact by-laws. The REM issues licences for the provision of TV and radio services and authorisations for provision of on-­demand media services. The REM manages the registries of electronic media service providers, including on-demand media services providers. No foreign ownership restrictions apply to media services, including TV and radio broadcasters (broadcasters). There are, however, some other restrictions regarding ownership (including cross-ownership) and control of media, which are aimed to protect media plurality (see question 26). The RATEL issues radio broadcasting licences on request. Provided that the relevant frequency is available and the request in line with the allocation and the allotment plans (devised by the government and the Ministry of Telecommunications, respectively), the licence will be granted. As an exception to the above, for the granting of radio frequencies of limited availability, the allocation plan may prescribe the need to follow a public bidding process. The RATEL prescribes the criteria that must be taken into account in the decision-making process. The licence is granted for a maximum period of 10 years. The REM issues the licences for TV broadcasting pursuant to a process of public bidding. The REM’s announcement for the public bidding must contain information about the fee to be paid annually. The applicant must pay a deposit in the amount of three monthly fees. A licenced broadcaster is obliged to submit to the REM a contract with the operator of at least one electronic communications network, by which it acquires the right to distribute its programmes to the public, within 30 days from the delivery of the licence. The licence owner must begin providing media services within 90 days from the delivery of the licence. Licences are granted for a period of eight years and they can be extended upon request. All TV broadcasters with national coverage are obliged to ensure that European audio-visual works (works made in EU and Council of Europe members) make up at least 50 per cent of the programming (including European independent production of at least 10 per cent). If the provider does not fulfil this obligation, the TV broadcaster is obliged to increase the share of European works by each year, starting at 20 per cent as a minimum. News, sports events, advertisement and prize contests are not regarded as European works. The media service provider is obliged to ensure that his or her own production partakes of at least 25 per cent of the annual broadcast programme. On-demand media service providers must support production and access to European audio-visual works, where feasible. This is to be achieved through the service provider’s financial contributions for production and through acquisition of rights to European audio-visual works, as well as by placing a special emphasis of such works in their programme catalogue. Radio and online (including mobile) media service providers are excluded from the scope of this obligation. The Advertising Act (2016), which is harmonised with the EU law, includes a section on broadcast media advertising. Pursuant to the relevant provisions, TV and radio advertising must be easily recognisable and clearly and visibly separated by sound, image or space from the other contents. Advertising should not harm the integrity of the programmes. Broadcasting of live action films, television films (excluding live action series and documentary series) and newscasts may be interrupted at any time for the purpose of broadcasting TV advertising, provided that they last 30 minutes or longer. TV and radio advertising may be broadcasted simultaneously with the ongoing programme, without interrupting its time continuity, with the use of electronic graphics or other technical means (for example, virtual advertising, screen sharing, screen inscriptions, inserters, etc), under the conditions that it does not violate the integrity of the content and that it is separated by sound, image or space from the other contents during their broadcasts. The duration of such TV and radio advertising will be counted in the total advertising time within one hour of the broadcasted programme, as TV and radio advertising cannot take up more than 20 per cent of the broadcast programme. This rule is applied to commercial media service providers only. they will not improperly present product, service, or brand, for example by the use of closeups or emphasis placed verbally on the quality. The Advertising Act defines online advertising as advertising on the internet presentation, social network, mobile applications, or through other forms of internet communication. The Act applies only if from the content of the advertising message it clearly follows that it is directed at the Serbian recipients and that the goods or services that are advertised can be bought in or delivered to Serbia. Presentation on the person’s own internet domain is not considered advertising. There is a safe harbour for internet service providers in relation to online advertising by third parties (users), corresponding to the relevant provisions of the E-commerce directive. All other provisions of the Advertising Act apply accordingly to online advertising, as defined in the Act. The REM establishes, at least once in every three years, a list of radio or television channels that the operators are obliged to transmit. Only those operators whose electronic communication network is used by a substantial number of end users as the only or primary means of receiving media content fall within the scope of this rule. The operators are obliged to transmit six TV channels (two public and four commercial), without remuneration. There is no mechanism for financing these costs. Yes, in order to provide certain new media services, the interested party must obtain an authorisation from the REM or be enlisted in the official record. For provision of media-on-demand, both the authorisation and the enlistment are required; for stand-alone internet media outlets the enlistment in the record is sufficient. Providers of the stand-alone internet media service and providers of media-on-demand services must be registered for provision of media services. The REM may issue a notice or a warning or impose a temporary ban on the broadcasting of the programme content, in response to broadcasting of hate speech or other breach of the content-related obligations, as well as for breach of the conditions contained in the authorisation for the provision of media services. On-demand media services that can be harmful for the physical or moral development of minors must be provided in a manner where the minors will not see it in usual circumstances (eg, as a protected service with conditional access). The switchover from analogue to digital TV broadcasting occurred on 7 June 2015.
the extent of the frequencies’ scope of use, necessary for effectuating the switchover to digital broadcasting. The RATEL proposed in September 2017 a draft rulebook on the plan for allocation of frequencies, locations and areas for terrestrial digital audio broadcasting stations in the VHF Band. The rulebook has not been adopted yet. Will the analogue signal process continue to exist (simulcast) or will it be completely switched off? What is the deadline for the switchover? Is there an interest in switching to digital broadcasting among radio broadcasters? Who will be the operator of multiplexes and distributor of radio signals? Will there be a sufficient number of receivers? No, there is no obligation to use the spectrum in a specific way. acquiring of more than 50 per cent of shares across daily newspaper publishers (publishing information addressed to the general public) that have a circulation of more than 50,000 copies annually and across all types of broadcasters. Concentration can also be forbidden based on the Competition Act (see question 28). The Ministry of Culture (for print media) and the REM (if at least one undertaking is an electronic media outlet) are the bodies with the authority to address breaches of media plurality. If the relevant undertaking does not eliminate the causes of breach within six months, the print media outlet has to be deleted from the Media Registry and fined for commercial offence. The managing editor will also be fined for commercial offence. In case the entity holding a licence for provision of media services does not eliminate the causes of breach, the REM will revoke the licence. Licence holders must inform the REM of any intended changes to their ownership structure. If there is a threat of breach of media plurality, the REM will issue a recommendation on how the change of ownership should be performed. If the licence holder does not abide by the recommendation, its licence will be revoked. There are no proposed legislative changes in the media sector. A government-appointed working group is drafting a strategy on the development of the public information system until 2023. The REM has prepared a draft proposal of the radio and audio-visual media services development strategy, which is in the process of being adopted by the Ministry of Telecommunications. The REM and the Commission for Protection of Competition have not performed a review of the media market yet. The only market reviews available to date were done by private bodies and show that advertising revenues on TV are decreasing, that radio revenues are stable and the revenues from online advertising are rapidly increasing. The advertising market taken as a whole has suffered a decline in recent years. TV viewership is constantly dropping. Digitalisation of radio broadcasting is one of the pending issues (see question 24). the Commission for Protection of Competition, for antitrust matters. cooperate with the broadcasting authority to determine the conditions and methods of use of radio-frequencies for media content distribution and broadcasting. Moreover, and in line with the above, the RATEL and the Commission for Protection of Competition signed a Memorandum of Cooperation on 17 May 2011, which regulates the relations of these two bodies. perform analysis of the relevant media market, in cooperation with competition protection authority, and in accordance with the REM’s methodology. In line with this, the REM and the Commission for Protection of Competition signed a Memorandum of Cooperation on 8 January 2018. The Memorandum provides for a continuous exchange of data, harmonisation of the positions on issues of common interest, and joint participation in activities that contribute to the affirmation of policies implemented by the Commission and the REM. The RATEL’s decisions on the rights and duties of operators and users are final and subject to appeal through judicial proceedings before the administrative court. in the decision made at its discretion, the RATEL overstepped its authorities, or the decision was not adopted in accordance with the purpose of the exercised authority. The lawsuit must be filed within 30 days from receipt of the RATEL’s decision. The filing of a lawsuit does not suspend the execution of the RATEL’s decision. The REM’s decisions are also final and subject to appeal through judicial proceedings before the administrative court. The lawsuit must be filed within 30 days from receipt of the REM’s decision, and the reasons for challenging the decision are the same as for the RATEL (see above). If a lawsuit was filed against a decision on issuance of a licence for the provision of media services, imposition of measures, or revocation of a licence, the administrative court cannot resolve the matter on the merits. Instead, the court will specify the deficiencies of its decision and instruct the RATEL to re-examine the issue, in accordance with the court’s conclusions. The Commission for Protection of Competition has in recent years become a prolific agency, with numerous investigations in its track record and prone to use all available legal remedies, including dawn raids. The Commission has also conducted market reviews and fined both private and public companies. The approach by the Commission to the issue of concentration is generally permissible, usually in the form of conditional approvals. In relation to restrictive agreements, the Commission has been reluctant to issue fines, and preferred measures are aimed at eliminating competition infringements instead. In 2017, SBB, the largest cable operator in Serbia, took over 100 per cent shares of another major operator, IKOM. The Commission approved the concentration conditionally, by ordering SBB to sell the infrastructure on the locations where the networks of SBB and IKOM overlap and to notify the Commission on every increase in service prices, within 15 days from the increase, accompanied by a written explanation. SBB has announced an increase in monthly prices in the amount of 100 dinars (approximately €1), beginning as of 1 January 2018. SBB justified the increase by the increase in the number of TV channels offered. The Commission found this explanation unconvincing and in January 2017 started a pre-investigation for abuse of the dominant position. The Commission had already established that SBB was abusing its dominant position on two occasions, in 2008 and 2010. 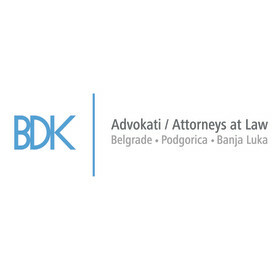 BDK Advokati (BDK) is a full-service law firm with offices in Belgrade (Serbia), Podgorica (Montenegro) and Banja Luka (Bosnia and Herzegovina). 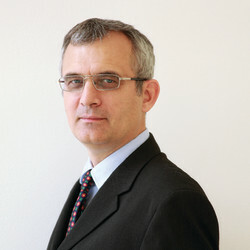 The firm was established in 2004 and quickly reached the top-tier in Serbia.